What only a few and most daring dreamers could have imagined two decades ago, when the Internet was only grasping at the surface of our daily lives, it now has become a reality. eCommerce accounts for more than $2 trillion in sales today and it is expected to jump up to $4.5 trillion in 2021…. Web Designers, Are You Seeking or Setting A Trend? 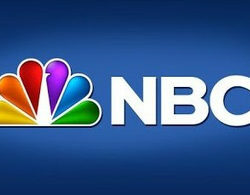 Those who know about the major news networks should recognize NBC. It’s a large Hollywood network and TV station in the United States which was originally founded back in 1939. Retina screens and 1080p monitors are forcing the hand of modern web designers. Vector art has long been used for print work and logo design, but hasn’t always been accepted on the web. Now with so many tutorials and free tools like Inkscape it’s never been easier to learn vector design.